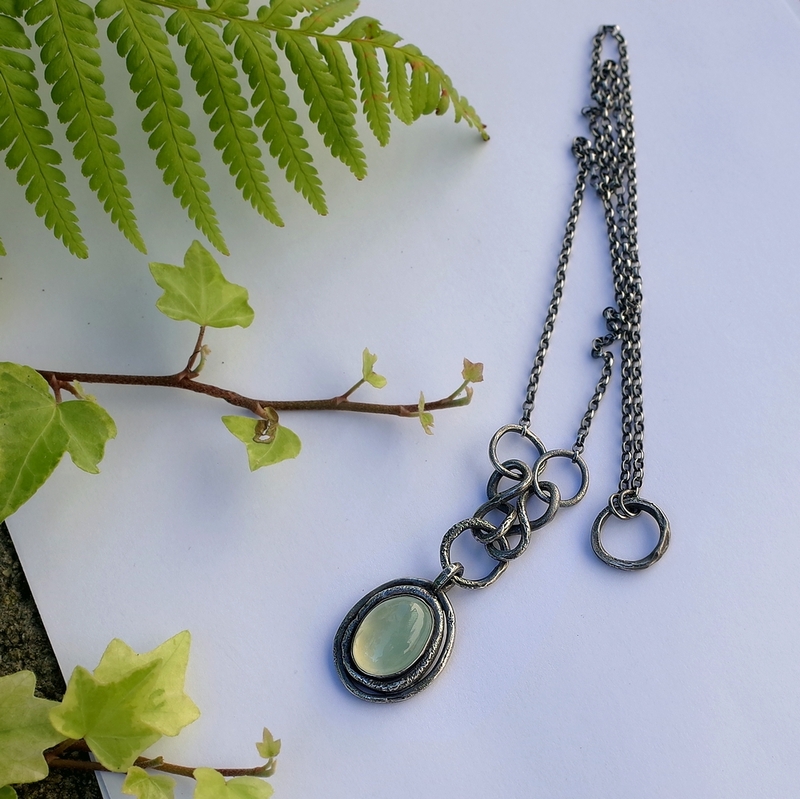 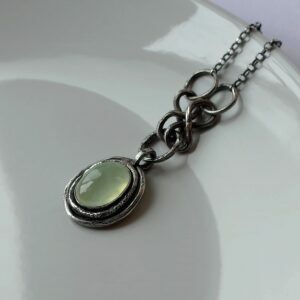 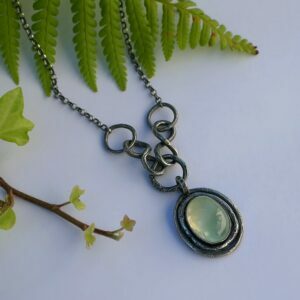 Sterling silver one of a kind necklace with green prehnite. 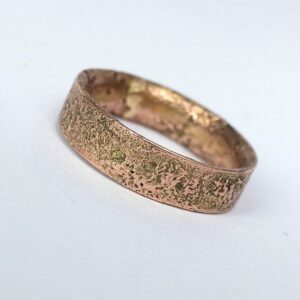 Rustic nature inspired style, handmade using metalsmith techniques. 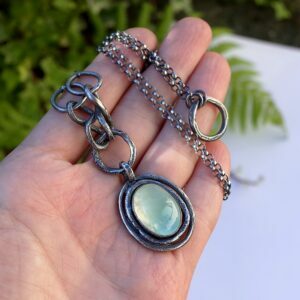 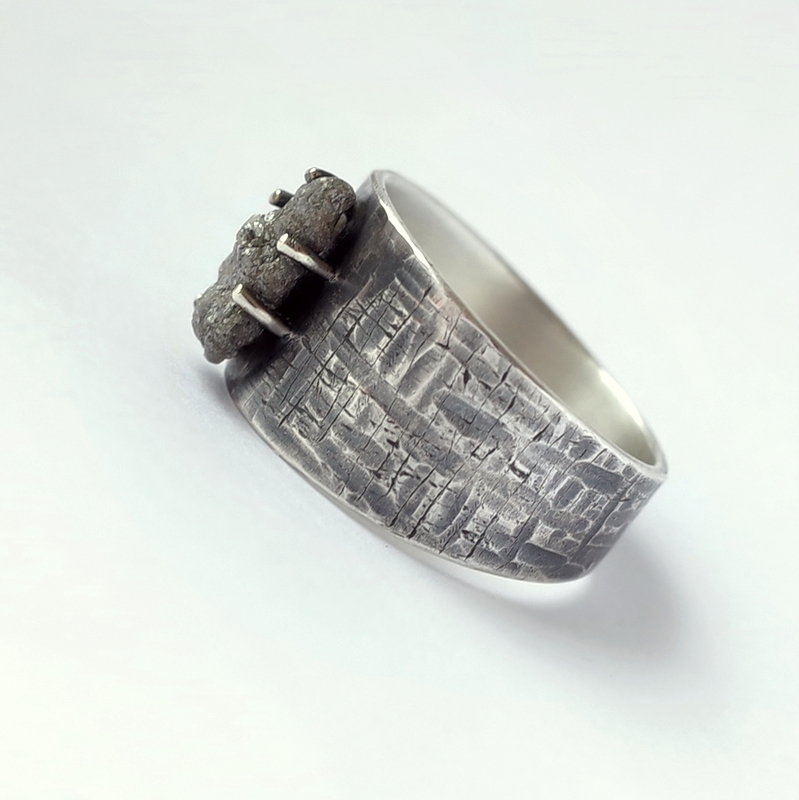 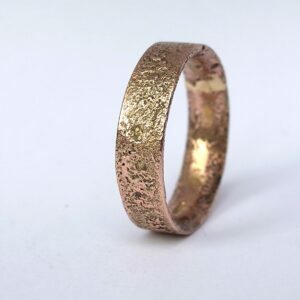 This necklace in a similar way as my rustic rings and bracelet, by a texturing technique called reticulation. 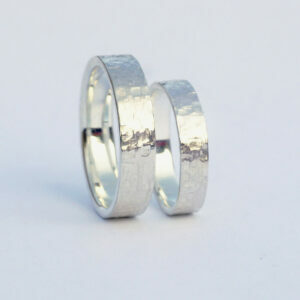 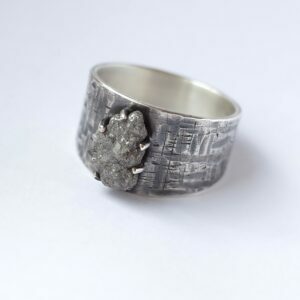 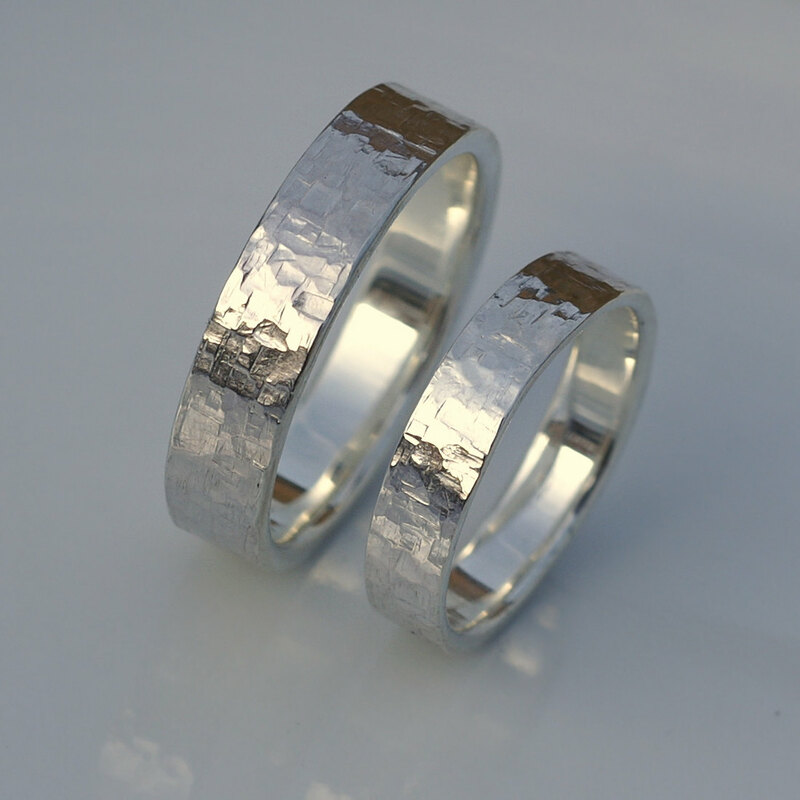 The silver is heat treated many time and partially melted to achieve this look. 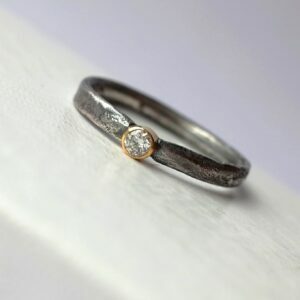 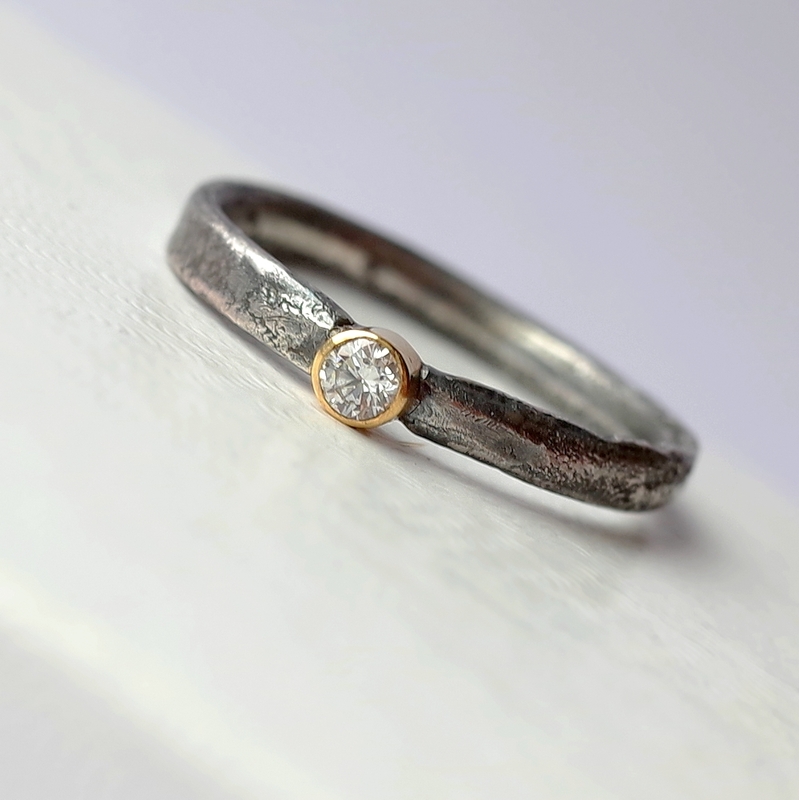 Then it is oxidized and polished. The stone is prehnite with translucent milky green color and some cloudy inclusions. 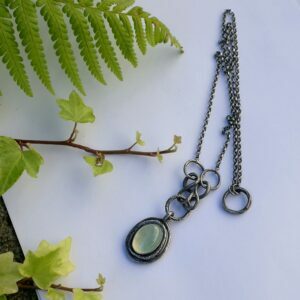 The necklace is 60 cm (23.6″) long (usable length of chain) and has no clasp. 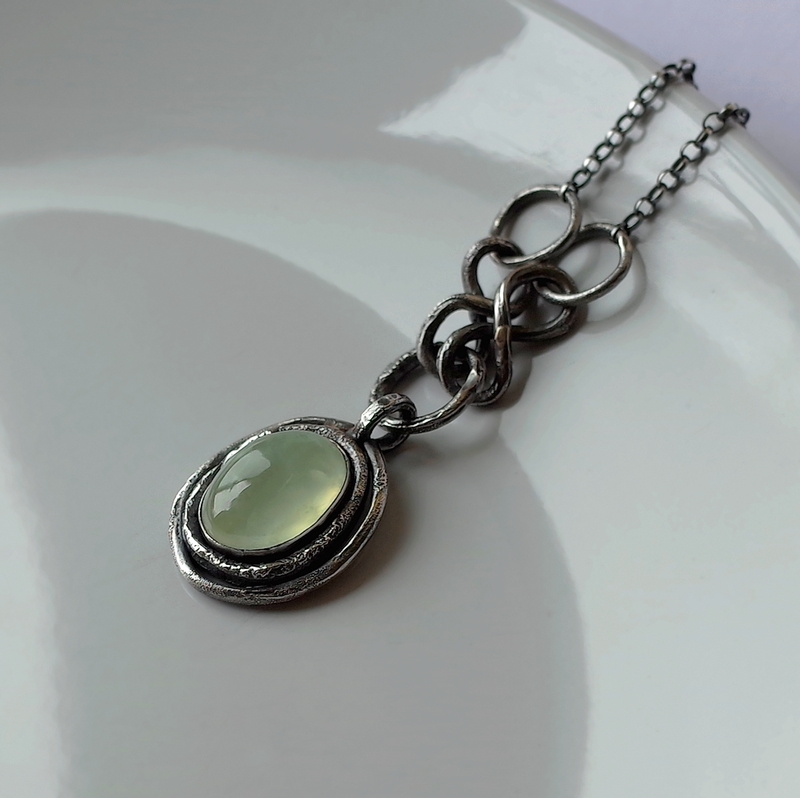 I can put this over my head easily, but I recommend to try it with a piece of string. 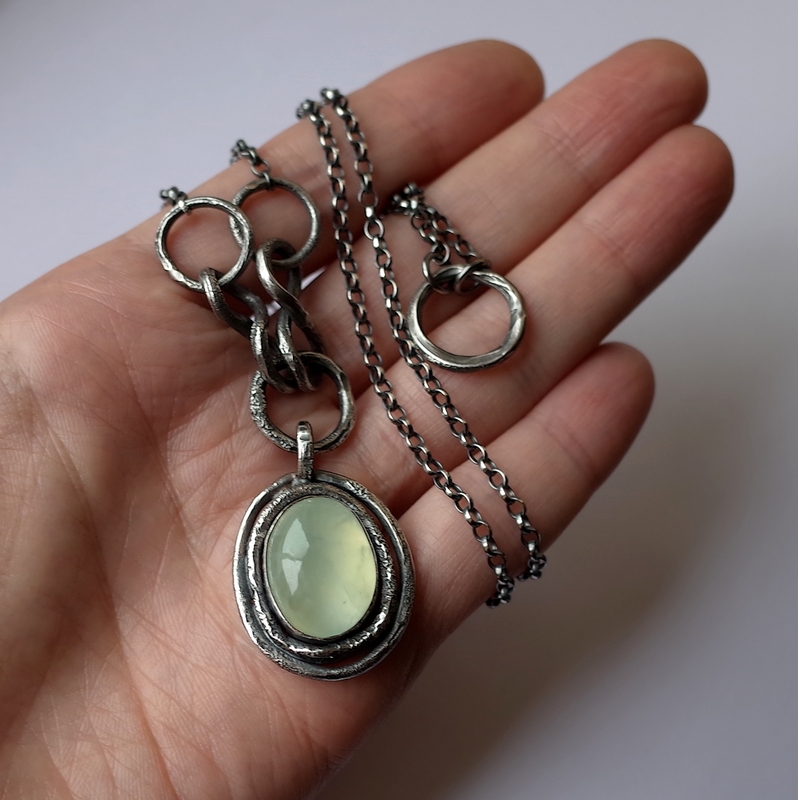 If needed, I can add clasp, please contact me for options. 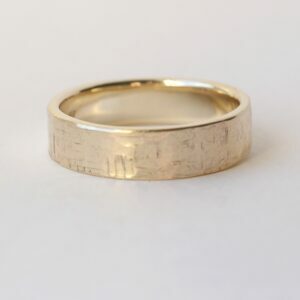 I can also shorten the length. 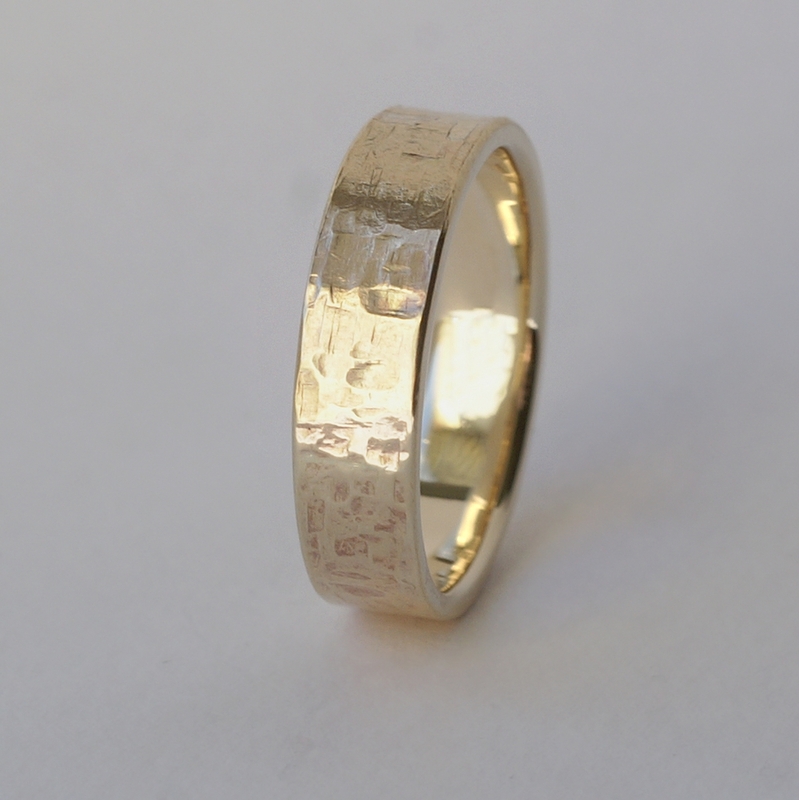 Hallmarked by London Assay Office, bearing silver purity mark and my maker’s mark.